Any list involving must-have travel items has to start with a power bank. There are lots of power banks out in the market. But you will be hard-pressed to find anything that can top the Anker PowerCore 20100 in terms of quality and affordability. 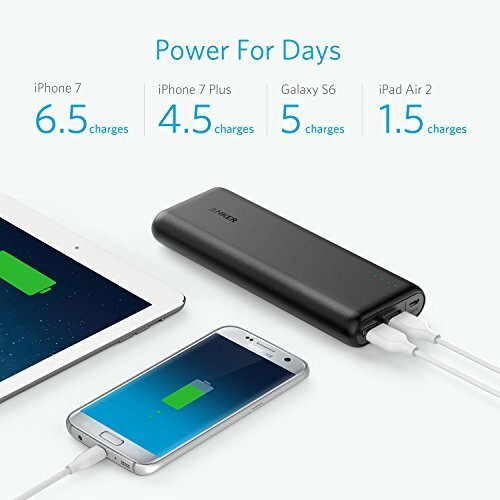 Featuring a minimalist design, the PowerCore 20100 comes with an incredible power capacity that can fully recharge an iPhone 7 almost seven times and the Samsung Galaxy S6 five times. It’s amazing how much power can be stored in such a small device, which you can easily carry anywhere. The PowerCore 20100 comes with the “PowerIQ” and “VoltageBoost” technologies, which both ensure charging efficiency no matter what device is plugged in. It can charge two devices at the same time and only needs about 10 hours to recharge itself. Simply plug it in before heading to bed to make sure it stays juiced throughout the following day. A travel pouch is also included in the package, saving you from buying a separate one for it. Though the travel pouch isn’t really necessary if you’re rolling with a dedicated travel bag for electronics. You know, like the product below. One of the most common mistakes neophyte travelers do is cramming electronics inside a bag in a very disorderly manner. It makes retrieving specific items a hassle and time-consuming. Plus, there is also the risk of breaking something fragile like a smartphone screen due to the cramped space inside. The best way to efficiently store electronics inside a bag is using a smaller bag specifically designed to house gadgets. And no other product out in the market does it better than the Amazon Basics Universal Travel Case. Featuring a scratch-resistant interior, this travel case can easily hold numerous gadgets such as tablets, smartphones, cameras, external battery packs, extra memory cards, and even handheld consoles like the PlayStation Vita or Nintendo 3DS. The interior has a number of separate mesh bags, which allows you to neatly pack gadgets for easier retrieval on-the-go. 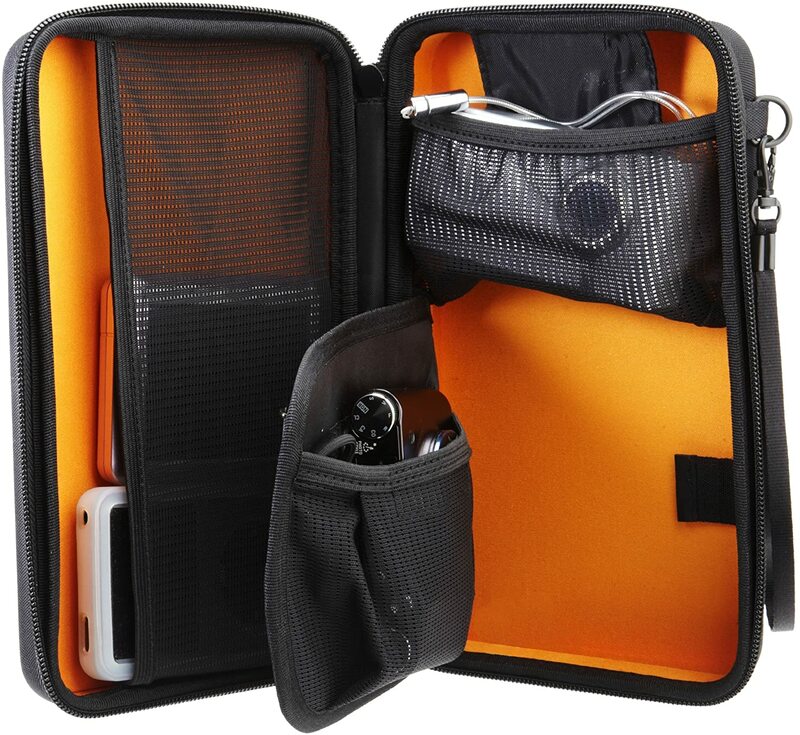 With this travel case, you will only need to take out one item in order to access all your gadgets. It will also save precious bag space for more items to fit in, negating the need to bring in another bag just for a couple of items. But be warned, though. This travel case is only water resistant, so be careful when bringing it for water-related activities. Speaking of water-related activities, don’t you just hate it when sand gets inside your beach bag? Sand gets everywhere (insert Anakin Skywalker “I don’t like sand” monolog). It can make clothes itchy. It can get mixed in with food. It can creep inside electronics. The most straightforward solution is not bringing anything to the beach. Just leave all your belongings inside the tent or wherever you’re staying in. Sand can’t get inside anything if there’s nothing to go inside. Okay, that was a terrible idea. 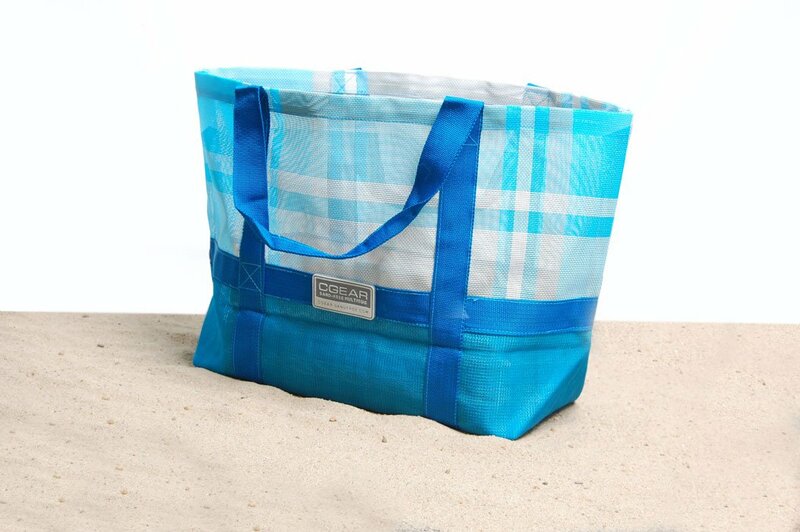 The best way to deal with sand is using a bag like the CGear Sand-Free Tote Bag to carry items to the beach. This specially designed bag features a double-layer weave that protects it from being overrun by sand. If sand gets inside it, which undoubtedly will, the bag will filter it out. This water resistant bag is very spacious and can easily hold all sorts of items. It has an inner pocket for smaller items, too. You don’t need to vigorously shake it to flush out the sand. Just lift it up and the sand flows out like water from a faucet. Wet sand sticks, though, so make sure to dry the bag first before calling it a day and bringing it indoors. A hotel room usually has about four to six total outlets, which is more than enough when traveling with a buddy or two. But if you’re traveling with four or more people, even six outlets won’t be enough to accommodate everyone. Especially when each person has at least two devices that need charging. Renting another room just to have more outlets to use is obviously a stupid idea. The solution? 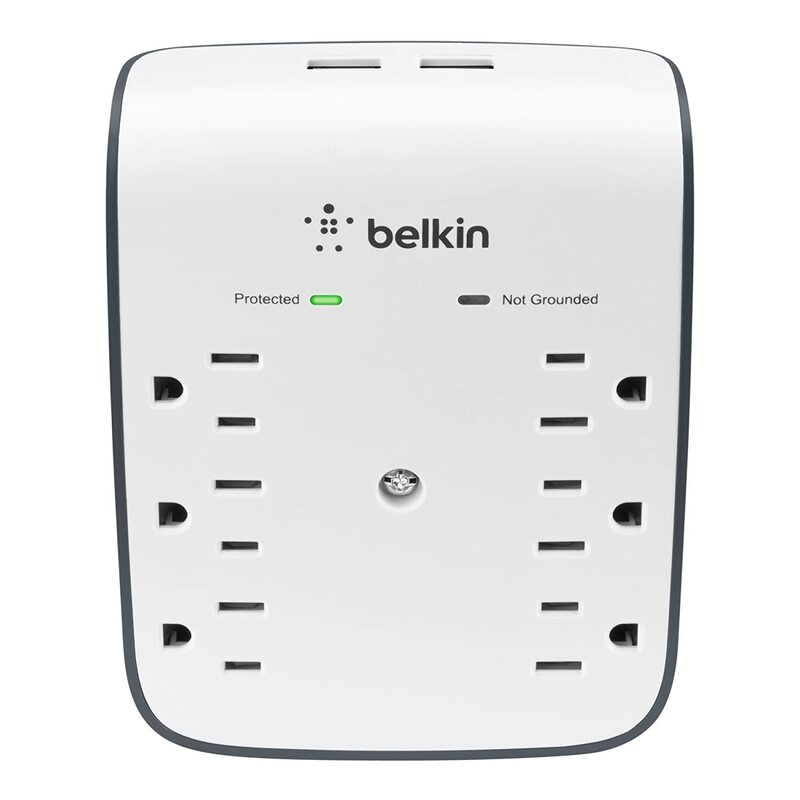 Bring along a portable multi-outlet adapter like the Belkin SurgePlus 6-Outlet Surge Protector. With this gadget, you will never have to wait for someone else to finish charging his or her assortment of devices before you can charge yours. 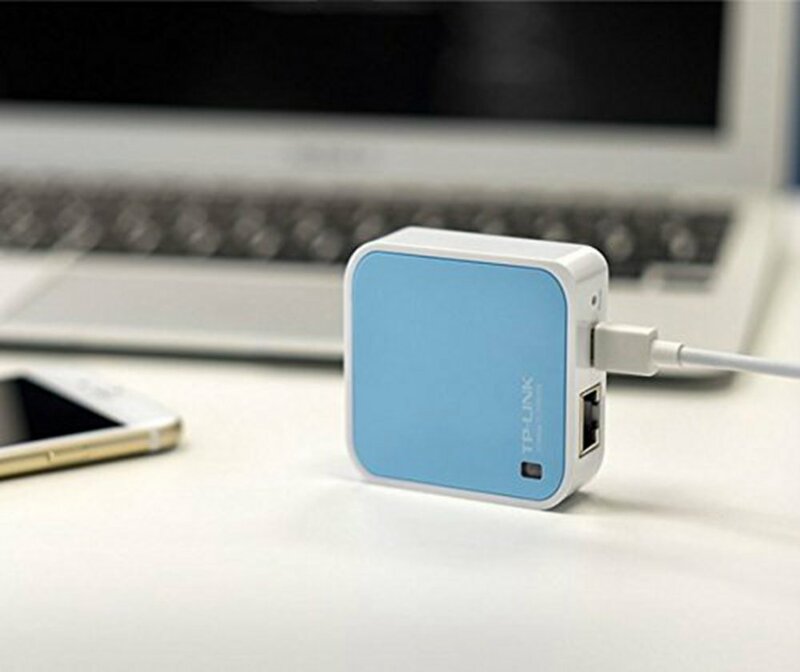 Despite its name, this useful little gadget can actually charge up to eight different devices thanks to the two extra USB ports at the top. This means two or three people can use only one outlet to charge multiple devices at the same time. Very efficient indeed. As its name suggests, the SurgePlus is capable of preventing voltage overload and tells you if an outlet isn’t properly grounded. If you like traveling with a group of friends, you definitely need this product. And don’t worry about it taking up too much space in your bag. Due to its portable size, you can easily fit it in a side pocket. Like with the imperial and metric systems, the world is still divided into two when it comes to voltage in electrical sockets. This is why an outlet adapter is necessary when country-hopping. One of the best travel adapters out in the market is the Bestek Travel Adapter. This travel adapter allows devices to safely connect to outlets in the United States, United Kingdom, Europe, and Australia by converting all voltages to 110V (US). It has a European cable by default. The package includes three separate plugs for the three other aforementioned territories, making the device an all-in-one gadget. 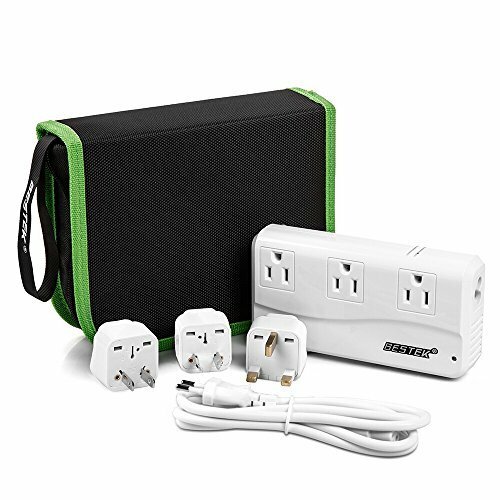 This travel adapter also has several features similar to the Belkin SurgePlus 6-Outlet Surge Protector. It can also accommodate multiple devices at the same time. It houses three outlets and four USB ports, allowing up to seven different devices to connect simultaneously. Surge Protection is also included to protect your gadgets from overloading. And don’t worry about it not being able to take the heat. It has dual cooling fans on both sides to help with the ventilation. If you’re looking for an excellent portable travel adapter, this product will serve you well. Though it comes with a more expensive price tag than the Belkin adapter above, it is the more well-rounded option with more features. Bringing along a knife during a camping trip is essential. But obviously, a full kitchen knife set is out of the question. Since you will only use a knife for things like opening cans, slicing luncheon meat, and opening some fruits, a small knife should be enough. You can go for the old-school butterfly knife if you want to look cool. But if you want an ultra-portable knife that literally fits inside a wallet, look no further than the SOG Key Folding Knife. This 1.5-inch stainless steel knife comes with a handle that is shaped like a common key, hence the product name. 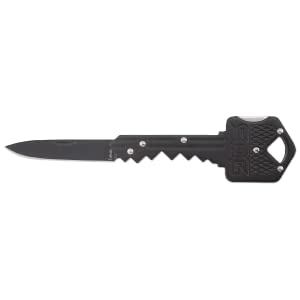 Featuring a matching black finish to add to its inconspicuous look, the blade swivels back into the key-shaped handle when unneeded. The blade locks into place, preventing it from accidentally ripping through a wallet or whatever storage you put it in. If you feel uncomfortable about bringing a “real” knife for camping, this portable knife from SOG is for you. Just make sure to store it properly after use. Due to its small size, you might have trouble looking for it when misplaced. You can loop it in a bag zipper for quick storage. Traveling with a group has great benefits. You can save a lot on food and hotel expenses. You will always have someone who will take pictures of you. You feel a lot safer having friends around as opposed to taking the lone wolf route. However, it has disadvantages, too. One of them is that you will be compelled to follow the group itinerary most of the time. There is always that itch to break away from the group and explore on your own. And even if you get lost, you can easily send a message to a friend and ask for help. But what if you end up in a place where there is no Wi-Fi signal, no cellular coverage, and no humans in sight? It’s during those times that you will be glad that you brought along a goTenna. The goTenna is a portable gadget that enables messaging and GPS tagging even when off-the-grid. It pairs with any smartphone via an app, which you can use to send texts even without Wi-Fi or cellular coverage. But it won’t be like regular messaging. The goTenna can only send and receive messages from another goTenna user within range, which is the reason why the product comes in twos. This means you need to leave one behind to someone before setting off into the wilderness alone. 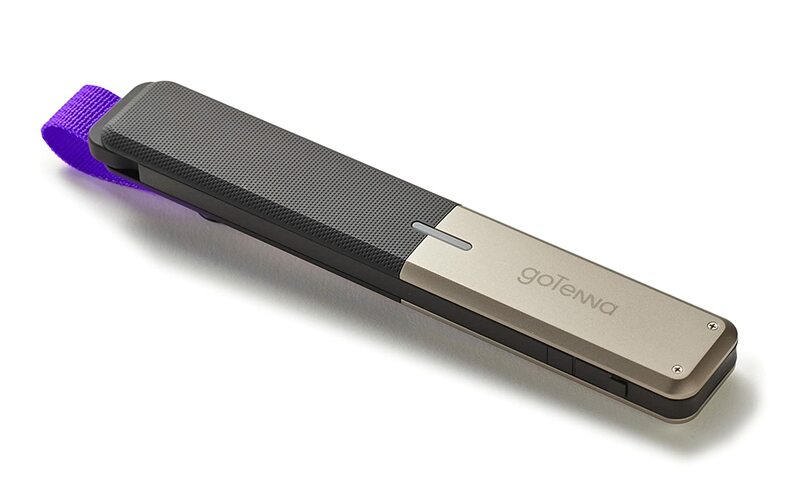 The goTenna can stay alive for more than 24 hours and can store lots of messages. This gadget is really handy if you frequently go out on camping and hiking trips with friends, especially if you always try to go out and explore on your own. One of the absolute biggest mishaps anyone could experience while out in a foreign land is misplacing a backpack or luggage. It can easily turn a well-planned vacation into a nightmare. Let’s face it, some people are way more careless and forgetful. This is where Tile Mate comes in. 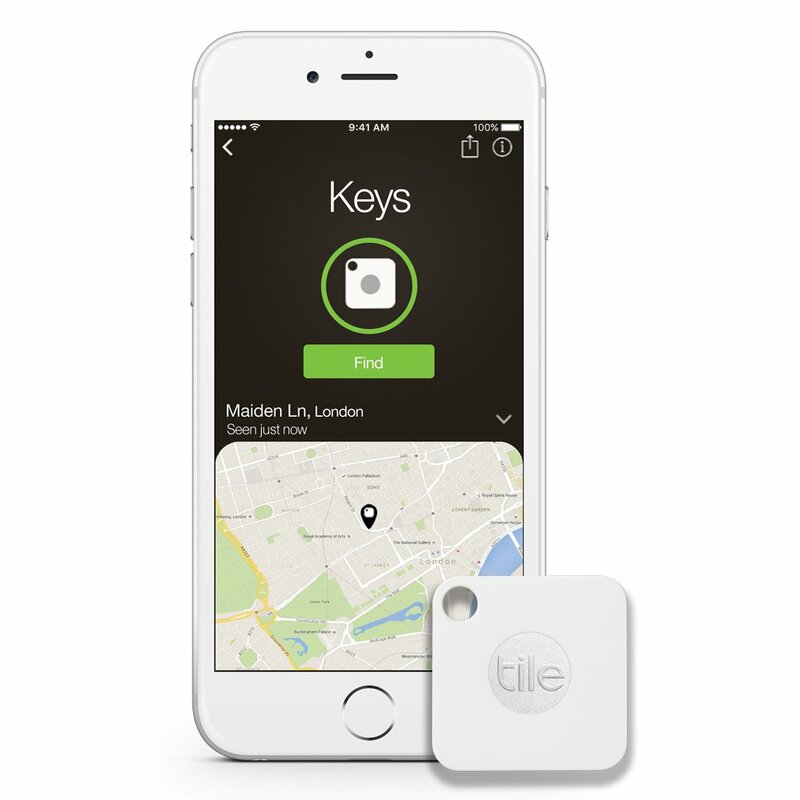 Tile Mate is an extremely useful little gadget that pairs with your smartphone in tracking down misplaced items. We mentioned it previously in our list of cheap but useful products that make life easier. You can place the Tile Mate in your bag, preferably hooked or looped into something like a keychain. If you lose track of where you put your bag, simply use the companion app on your smartphone to make the Tile Mate ring. You will be able to hear it if it’s nearby. Well, unless you left it in a really loud place like a train station or something. It also works the other way around. If your smartphone is in your bag, you can press the button on the Tile Mate to make it ring even when it’s in Silent Mode. What if your bag isn’t within range, though? Don’t worry, hope is not lost. When another Tile Mate user passes by your lost bag, the Tile Mate app will tell you where it is for retrieval. Neat eh? A light source is essential for outdoor adventures. But don’t just bank on campfires to provide light at nighttime. In some locations, producing campfires is even prohibited. And obviously, it won’t work when raining. That is why having a portable light source like a battery-powered or solar-powered mini lamp is important. 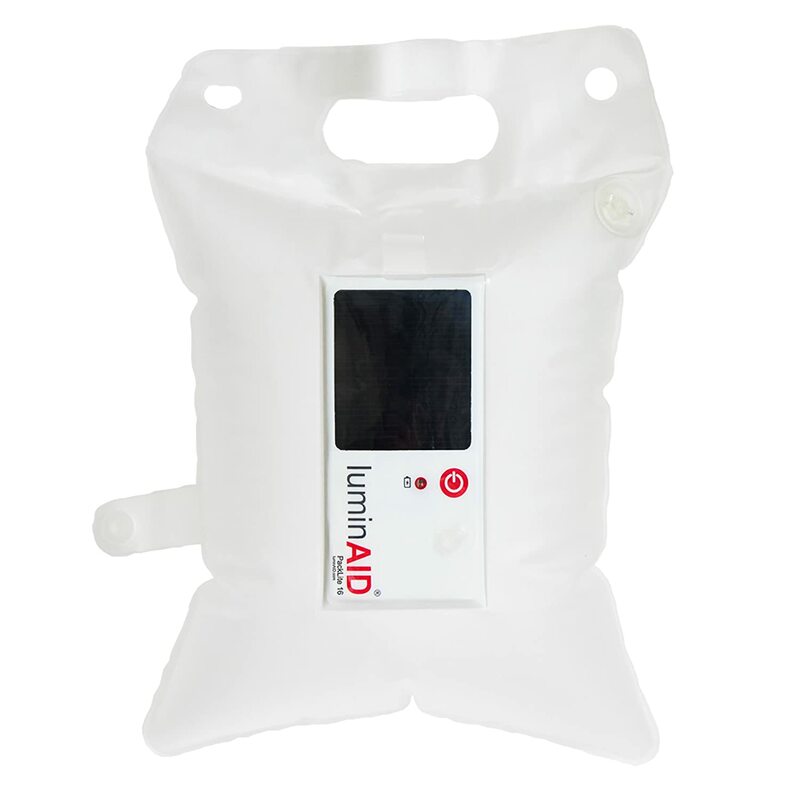 The LuminAID PackLite 16 has a seven-hour charge time under direct sunlight. Once it has the necessary juice, all you need to do is inflate it like you would a swim ring and then turn it on. It comes with preset light settings, which you can tinker with using the on/off button on the device. It can produce up to 65 lumens at max setting. It is advertised as capable of 16 hours of light per charge. But it can actually run up to 30 hours when used in the lowest light setting. The inflatable area is easily folded for hassle-free storage. And best of all, this portable light source is built for not-so-sunny conditions. Aside from being waterproof, the entire thing actually floats on water. If you love hiking or camping, the LuminAID PackLite 16 is one gadget you shouldn’t pass up on. Sometimes the most useful gadgets come in tiny packages. This is the case with the TP-Link N300 Wireless Travel Router, a gadget so small that you might forget you have it in the first place. This wallet-friendly gadget creates a separate secure connection using a hotel Wi-Fi, which you can share with others. Basically, it acts as a hotspot that allows normally locked-out devices to hook up to a hotel Wi-Fi. This is the solution to stingy hotels who only allow a single device to be connected. Just connect the N300 to the hotel Wi-Fi, create a mini network, and then share the connection to other devices. Problem solved. The device only has two ports: a USB port for power and a LAN/WAN port. The latter is especially useful if you somehow end up in a place where a wired connection is the only thing possible. Just plug in the N300 into the wired connection and set up a wireless connection for everyone to enjoy. The setup is very easy. For just less than $30, this little gadget more than punches above its weight. It offers excellent value for an incredibly cheap price tag. It is only slightly bigger than a pack of gum, making it easy to pack for travel. But as mentioned, you can easily leave it behind the hotel due to its small size. So be sure to triple-check before heading out. The default lightning cable that comes with Apple products is notorious for being too fragile, with many owners being forced to buy a replacement in just a few months. Imagine having to deal with a broken and non-functional lightning cable while outdoors with not a single electronics store within 20 kilometers. The best way to deal with that scenario is simply being prepared. Thankfully, Apple has no problem in allowing third-party manufacturers to produce better Apple accessories. 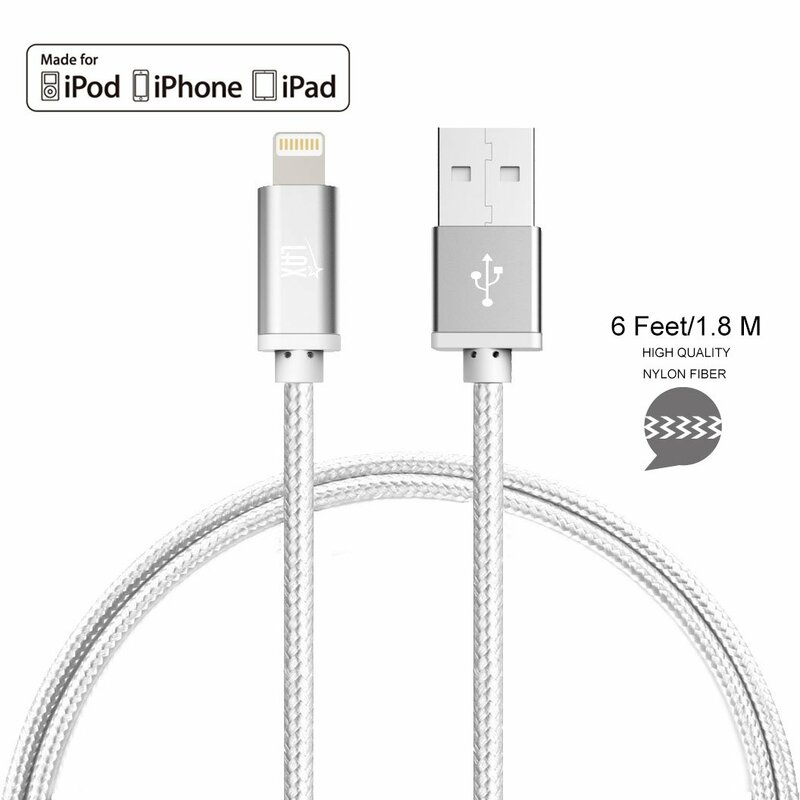 The lightning cable produced by LAX Gadgets for Apple products is a better version of the factory Apple lightning cable. Way, way better. This MFI Certified Apple accessory is covered with flexible braided nylon, making it less prone to getting tangled and easily damaged due to heavy use. You can bend the cable every which way and it won’t show any immediate signs of breakage. The tip connectors are also reinforced to prevent them from breaking easily even when bent at awkward angles. But perhaps the best thing about this lightning cable from LAX Gadgets is that it is available in an extra-long variant. It has a 10-foot version that basically erases any worries you might have about accidentally dropping your device when using it while charging. If you want a super-short version for a hassle-free pairing with a power bank, a one-foot version is also available. One of the best ways to enjoy a scenery while traveling is listening to music that fits the mood. It makes the moment even more magical. Unfortunately, bringing $50, $100, or $200 headphones with great sound quality for the ride is not a very good idea. For one, the really good headphones are usually bulky. This makes it not ideal when you need to pack as many things as you can in only one or two bags to avoid annoying extra luggage fees. The space headphones occupy can easily fit one or two more underwear, which is a huge thing if you will be out for a while. We recommend simply sticking with a cheap pair of earphones when traveling. 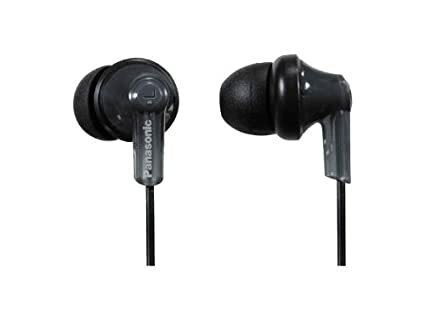 One of the best products out there is the Panasonic RP-HJE120, which you can buy for less than 10 bucks. Even if you lose it while in another country, you won’t feel sad about it. You can just think of it as a dispensable product. These earphones actually sound pretty good for their price. The sound quality won’t blow you away, of course. But it’s good enough for listening to music. The buds are very comfortable as well, making them ideal for long, country-hopping train rides. Despite the annoyances that come with cables, wired earphones are also best suited for travel. You don’t have to worry about the battery and there’s less chance of losing them compared to wireless Bluetooth earphones, which are also more expensive. What if you want to share the moment with companions though? Obviously, passing around a pair of earphones to enjoy a tune while watching the sunset is a bad idea. The hilarity of the situation will most likely kill the moment. To spread the music to more ears, a portable speaker is the better option. The SoundBox Touch Bluetooth Portable Speaker by Doss is one of the best ones out right now. Featuring a pair of high-quality stereo speakers inside, the SoundBox has a smooth design with touch-sensitive controls. 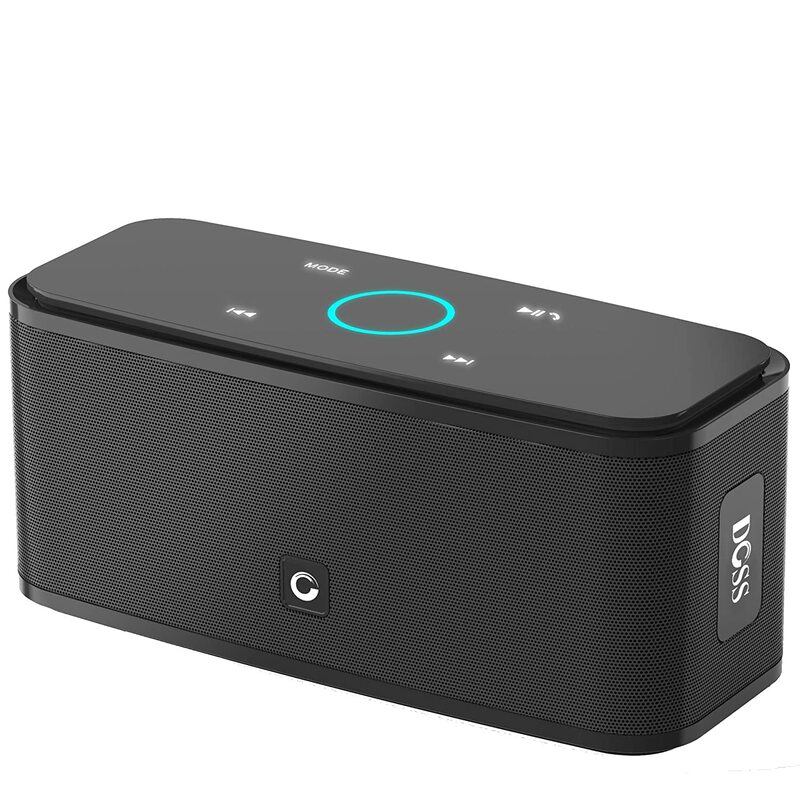 Any Bluetooth-enabled device within 33 feet can connect to this wireless speaker with ease. If you have a Micro SD card full of music, feel free to plug it in, too. It is equipped with a rechargeable battery that can run up to 12 hours straight at 75 percent volume. But unless you plan to stay outdoors all night, feel free to crank the volume to maximum. It recharges in three to four hours, though it would be wise to not let the battery fully drain. It has a lithium-ion battery, which means completely draining it between charges is a bad thing. The best thing about the SoundBox is that it is super-portable. You can easily fit in a medium-sized backpack pocket for camping trips. It also works with power banks, so be sure you also have the Anker PowerCore 20100 for extended music sessions outdoors. And that’s it for our list of the essential items for traveling, backpacking, camping, beach outings, and other outdoor activities. We definitely recommend picking up these items as they help tremendously in making things a lot easier when visiting foreign lands and discovering new locales. You can also check out our list of travel products every man shouldn’t leave home without.